I have worked in the travel industry for over 48 years and during this time have had the pleasure of serving thousands of clients to make their travel dreams a reality. 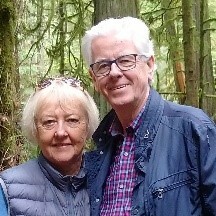 Verstraete Travel & Cruises, an independently owned and operated Canadian company, was established in 1970 with my wife and business partner, Lucy. Along with our team of dedicated travel experts, we offer top level customer service to our clients and specialize in all-inclusive vacations, river and ocean cruises, escorted cruises and tours around the world and customized veterans and student tours to Europe. Prior to Verstraete Travel I served as President and General Manager of a large travel company with four locations and 40 employees overseeing all financial and marketing operations of the company. A previous travel industry position included four years as a Director of a retail travel company and subsequent to this, I spent an additional four years as Managing Director of the same organization. Baldwin and Lucy were born in the Netherlands, immigrating at the age of 11 and 2 respectively. They met at Calvin College in Grand Rapids, Michigan and upon graduation, in May of 1970, were married in the Calvin Chapel. They reside in Don Mills, Ontario and have 3 married children and 6 grandchildren. They attend Grace Toronto Church where they are actively involved in the life of the church. Baldwin has been tracking all the countries he and Lucy have traveled to and is close to reaching the 100 countries mark.